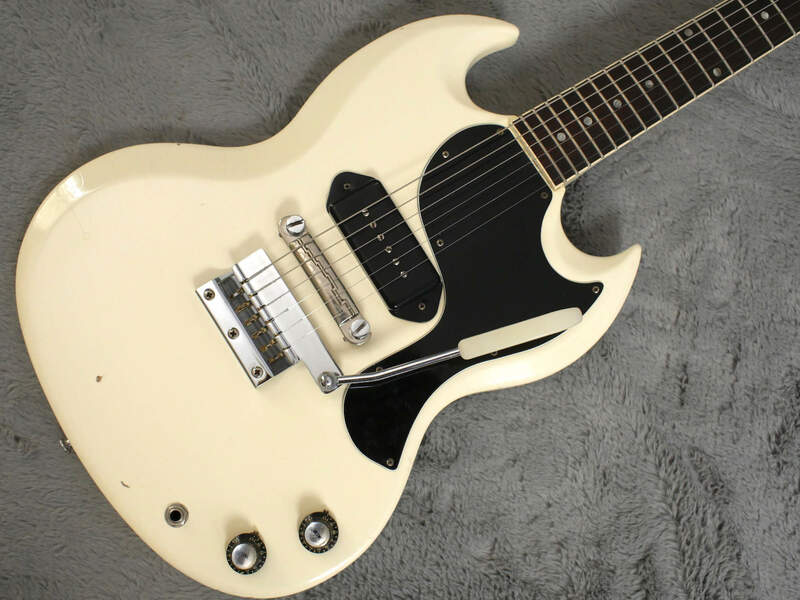 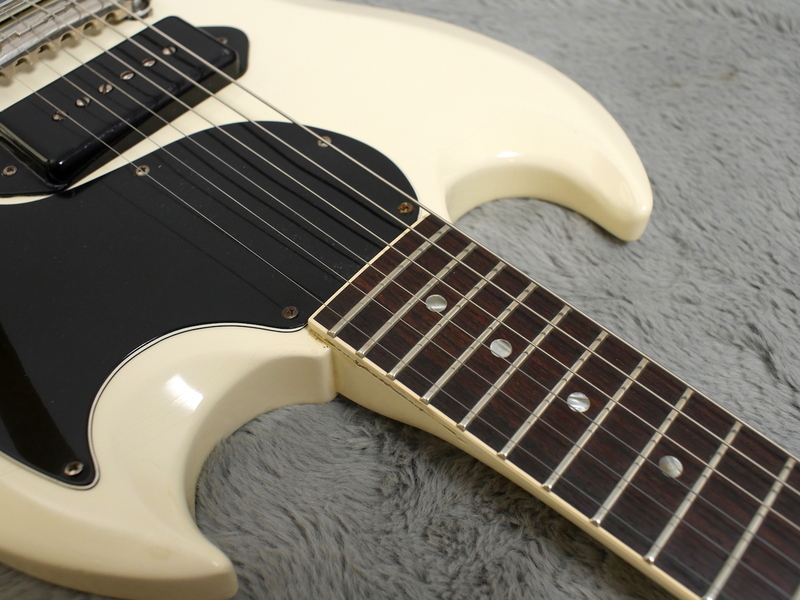 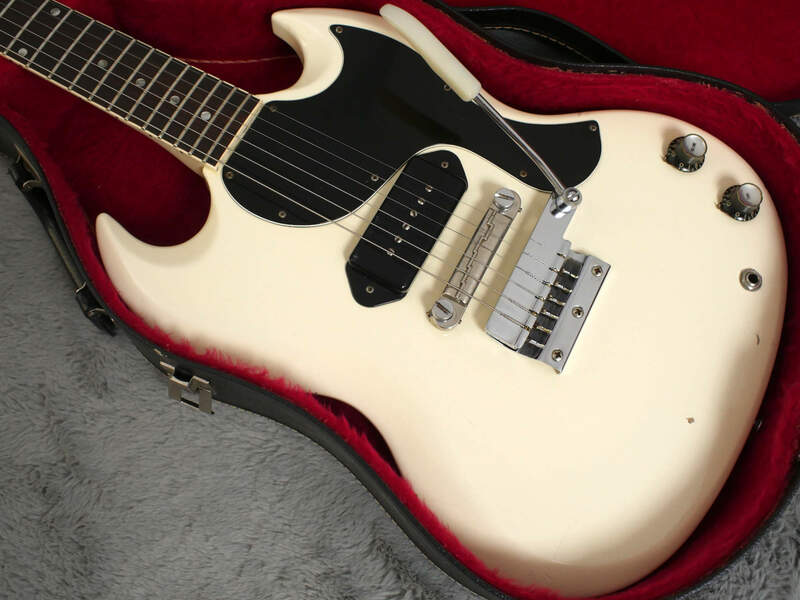 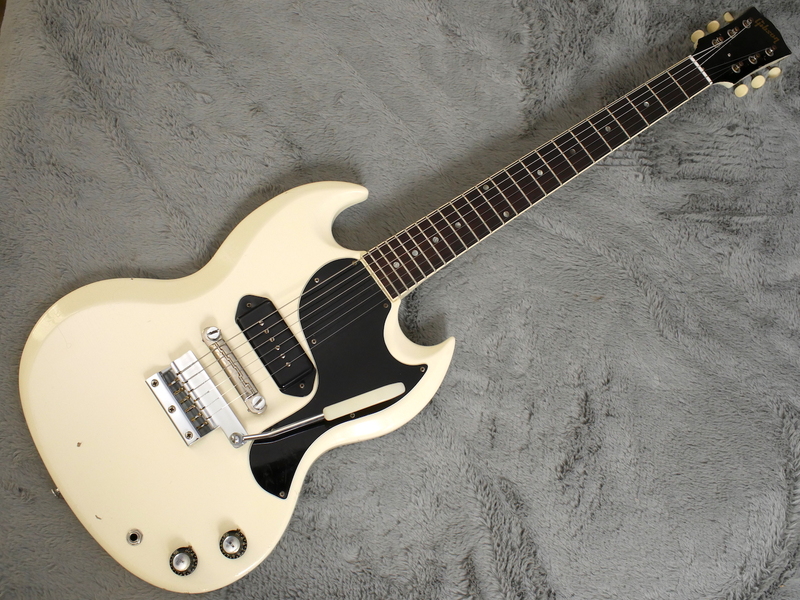 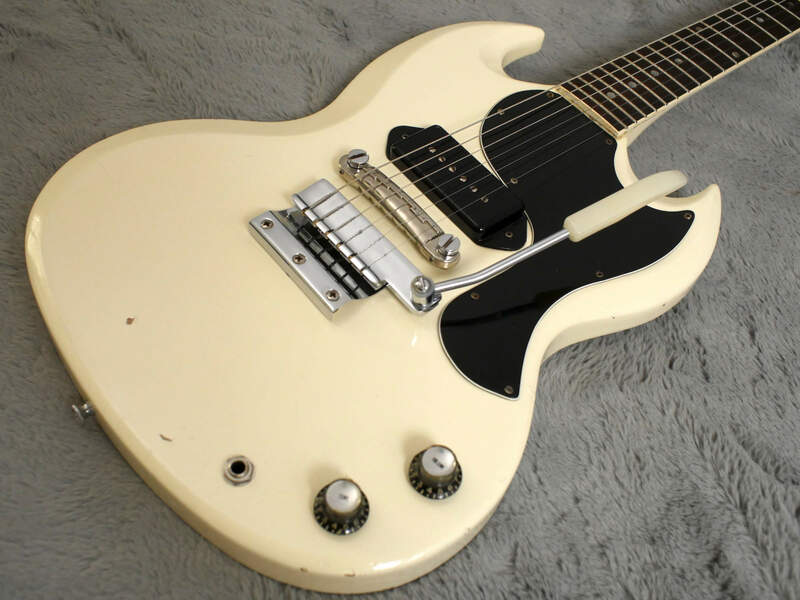 Beautiful Polaris White Gibson SG Junior with the only issue being it has had a re-fret, probably fairly recently but whoever did it has done a very good job and it plays very well indeed as a result. 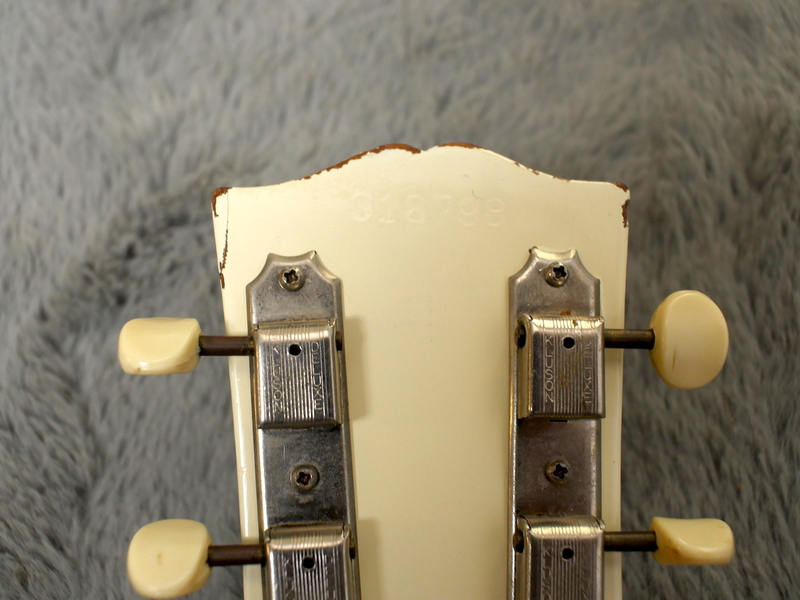 Very nice finish with relatively few dings and also relatively free of fade too. 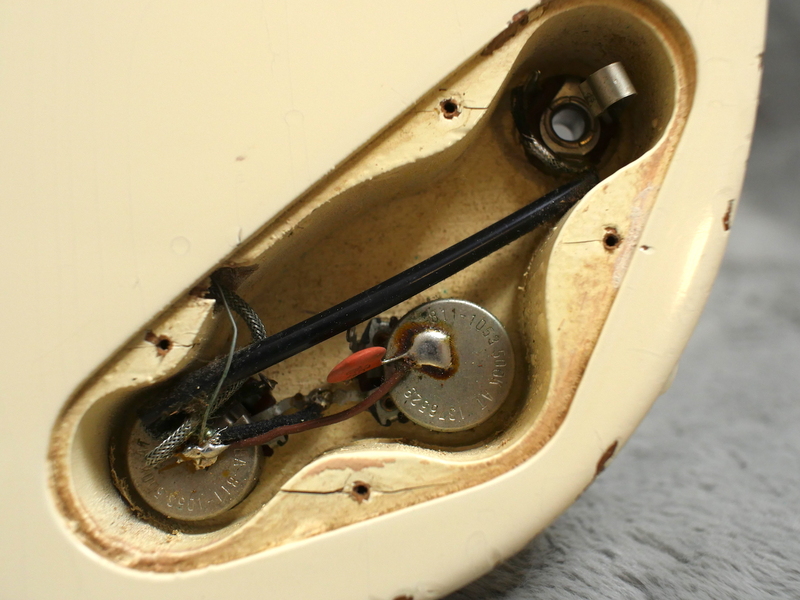 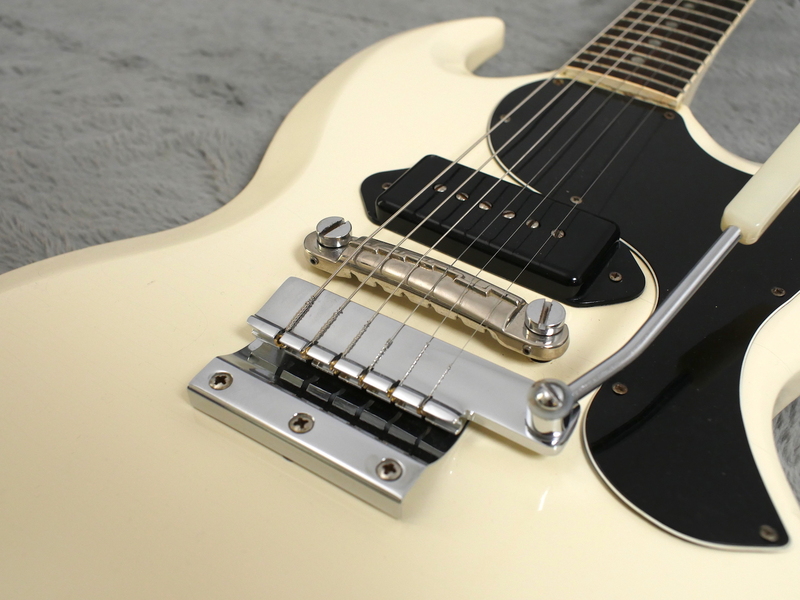 It has the classic short Vibrola fitted and has a mix of nickel and chrome hardware which is correct for 1965 as when new, nickel looks the same as chrome, of course it ages quite differently. 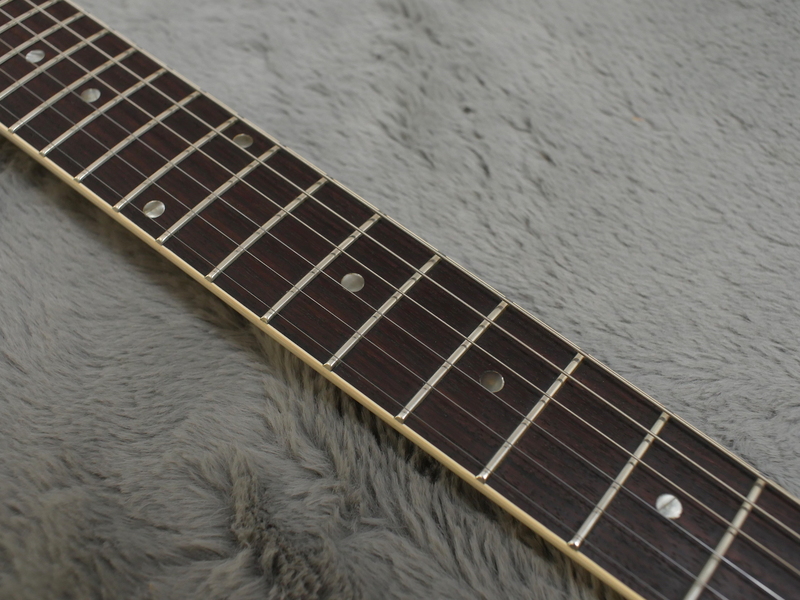 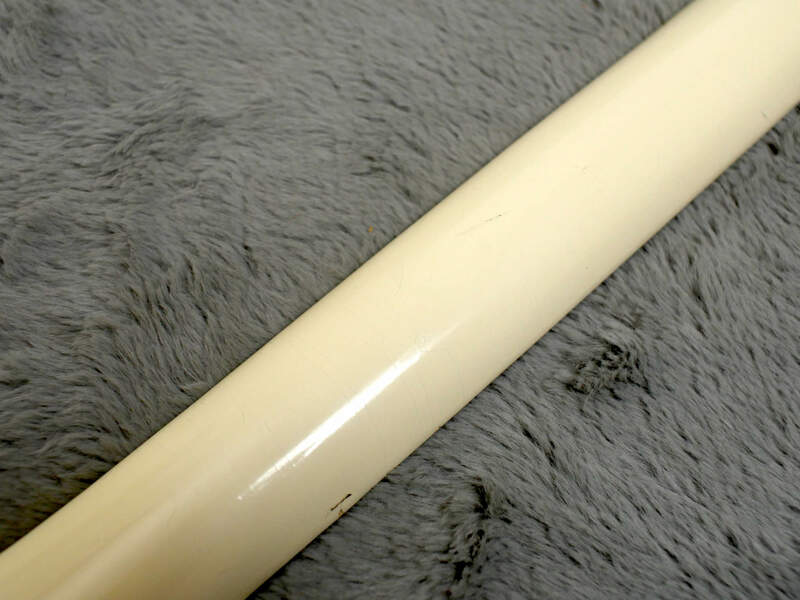 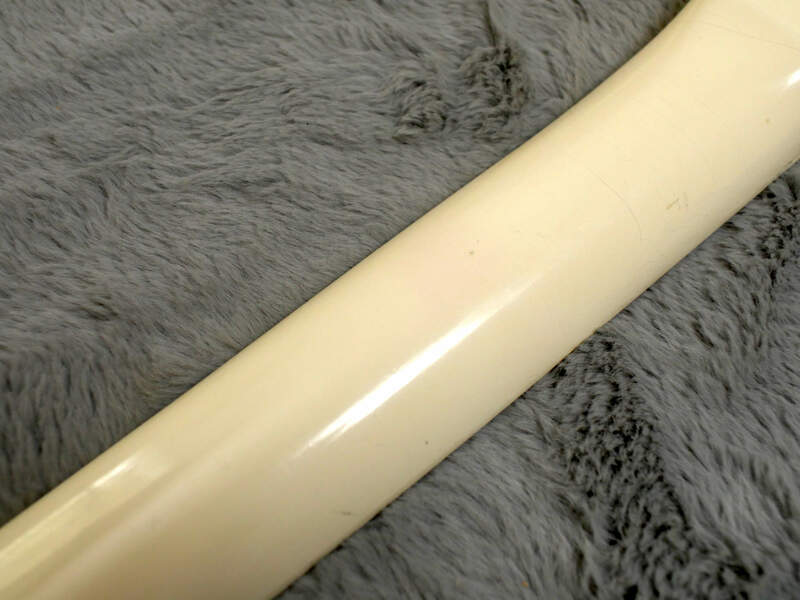 What is also nice about this one is it has the wide nut width of 43mm and has a nice feeling neck which has some decent meat on it. 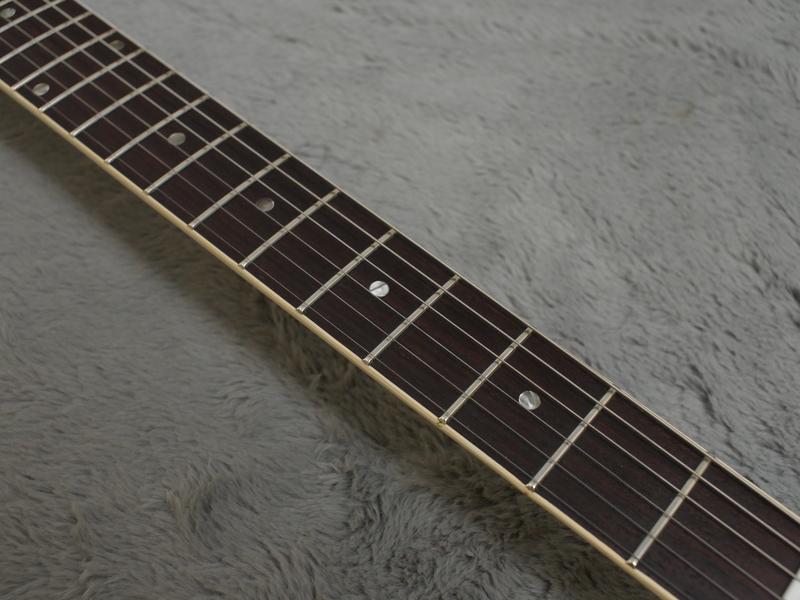 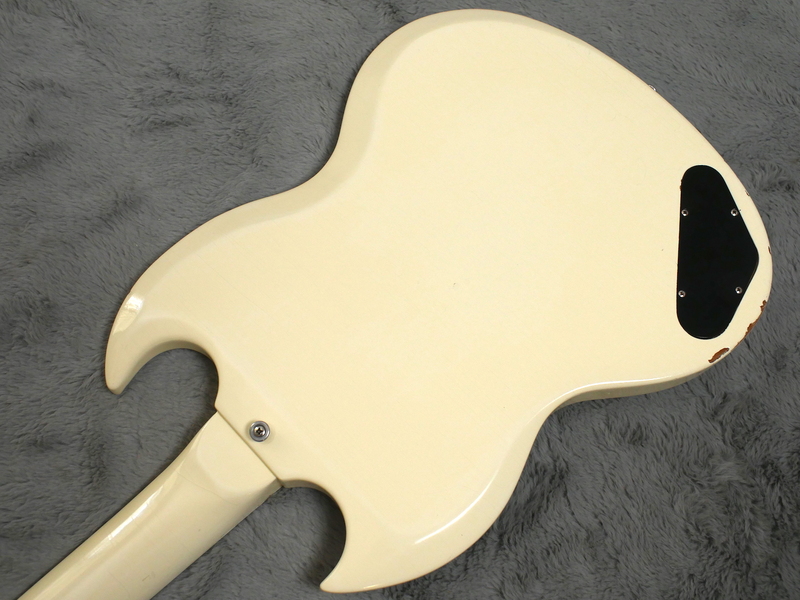 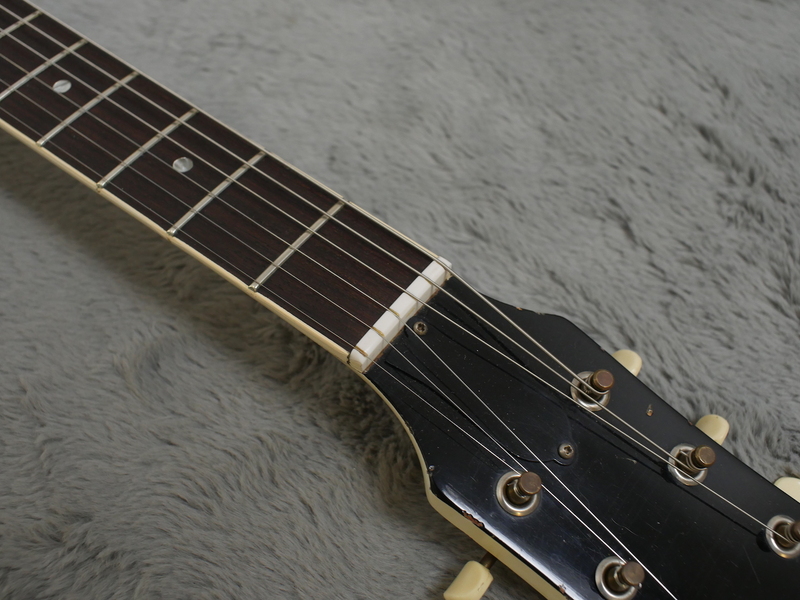 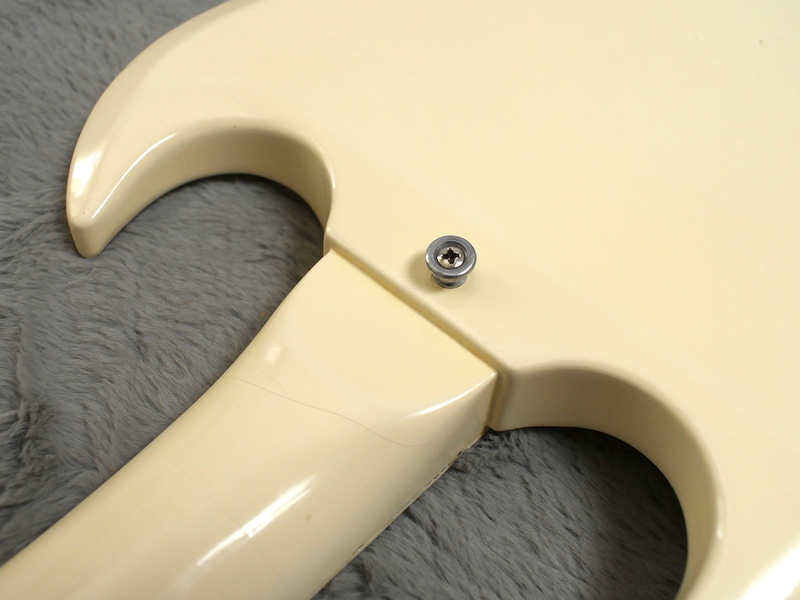 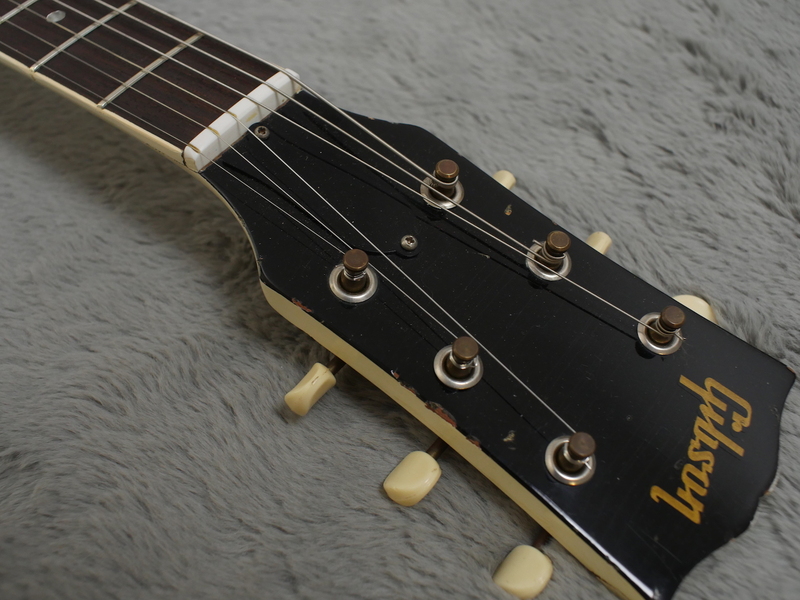 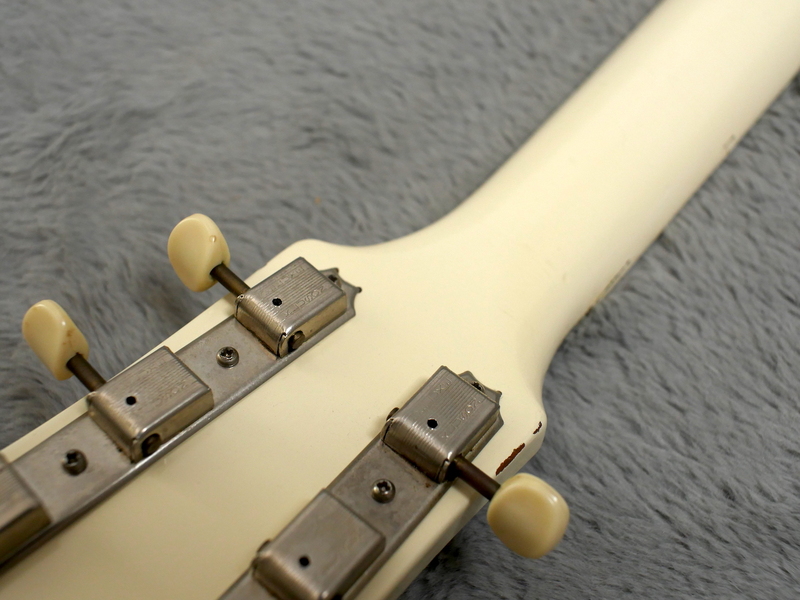 A few months later, these guitars would be completely different in feel having a narrow nut width and the start of the slim taper neck profile era. 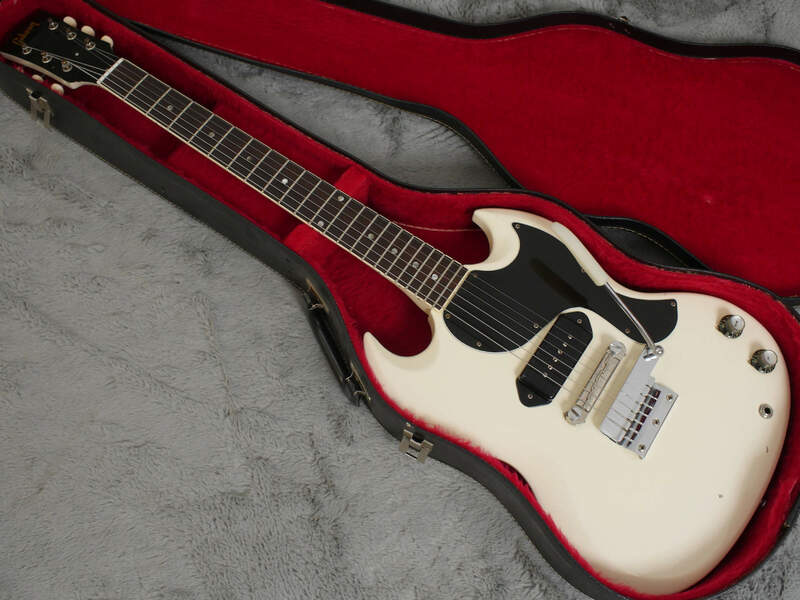 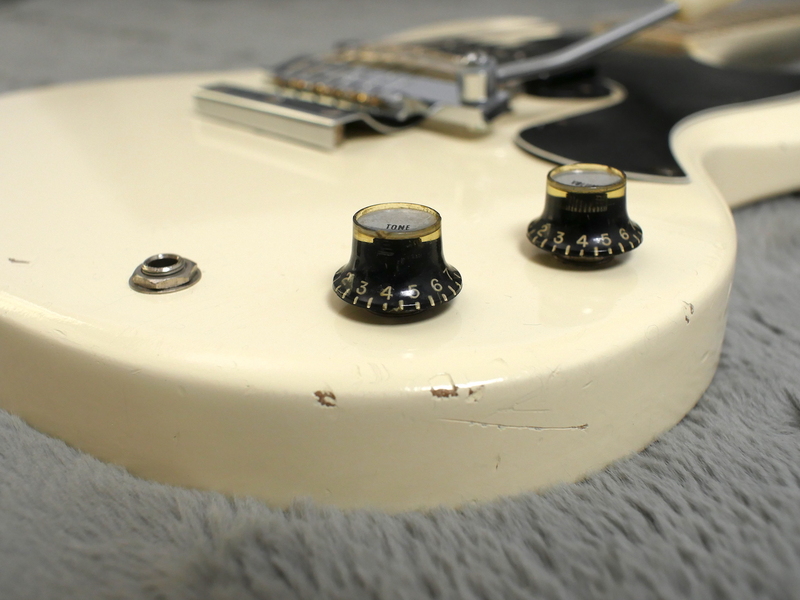 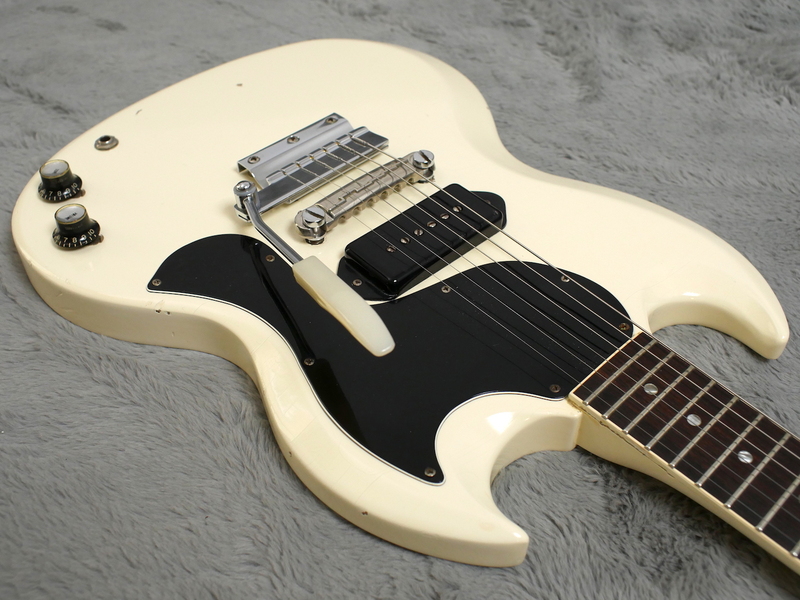 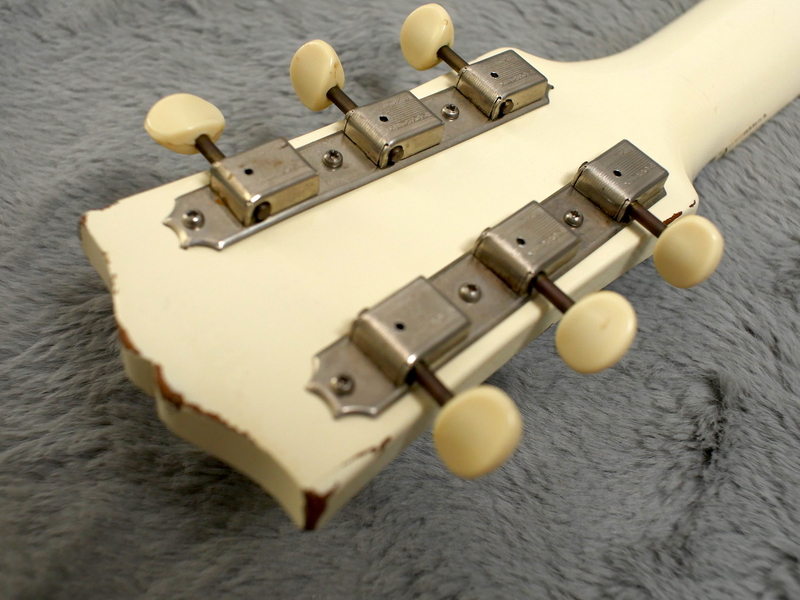 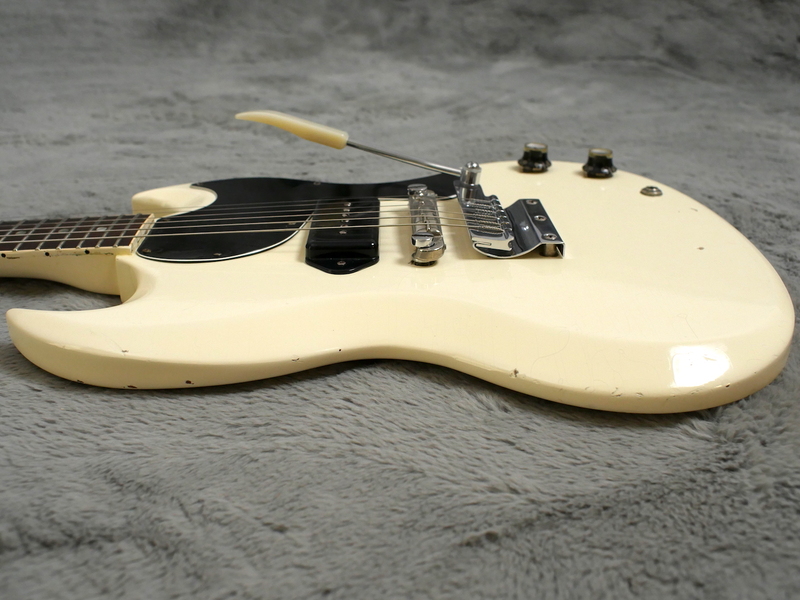 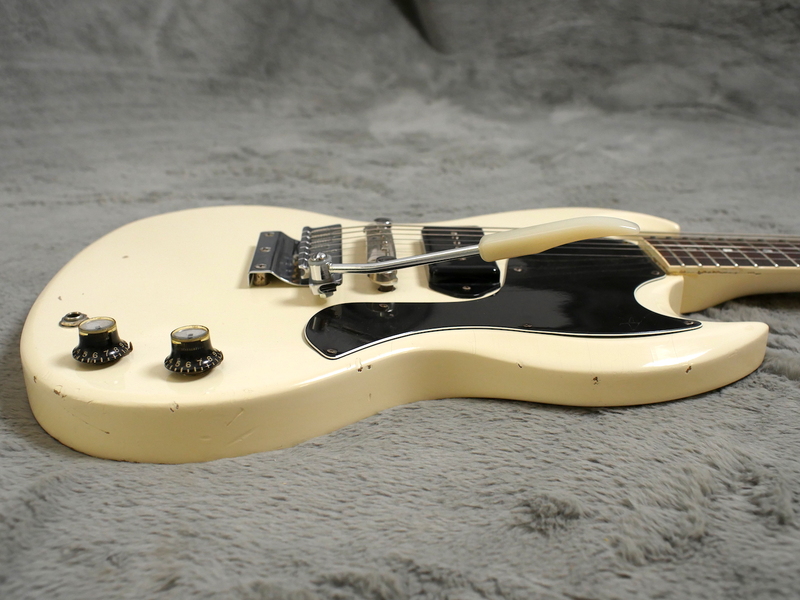 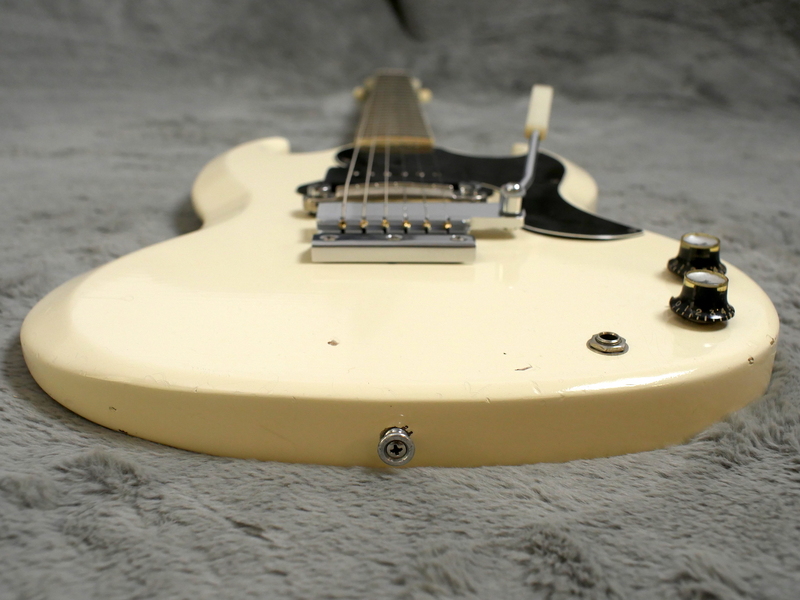 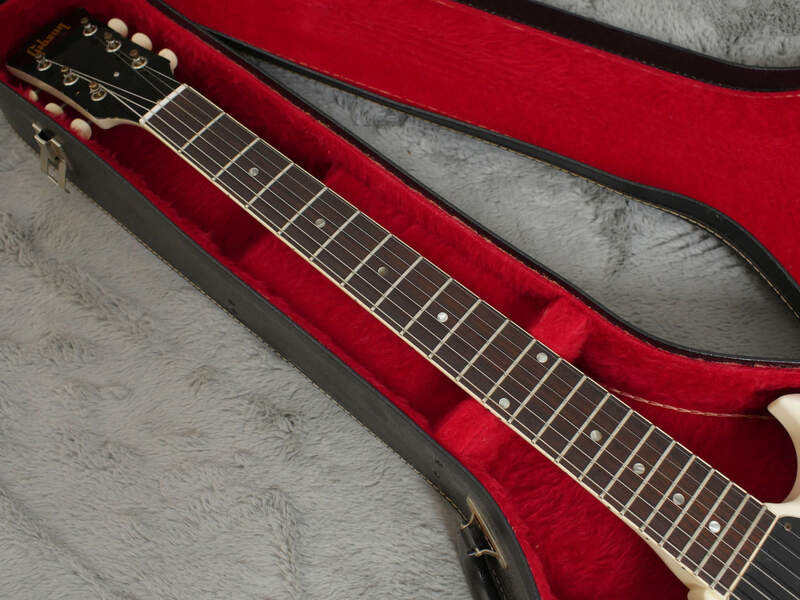 Single, original P-90 is very strong and powerful giving a very strong performance and up there with some of the best 60’s P-90’s we have come across. 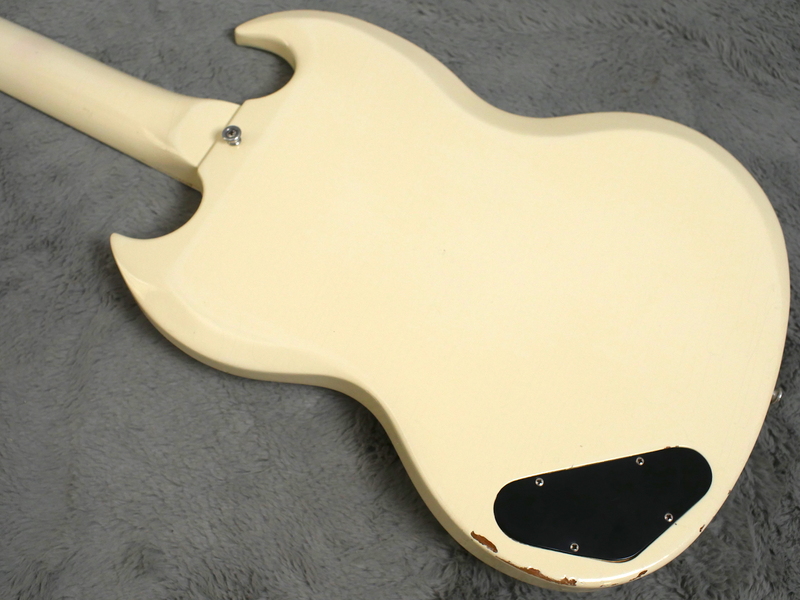 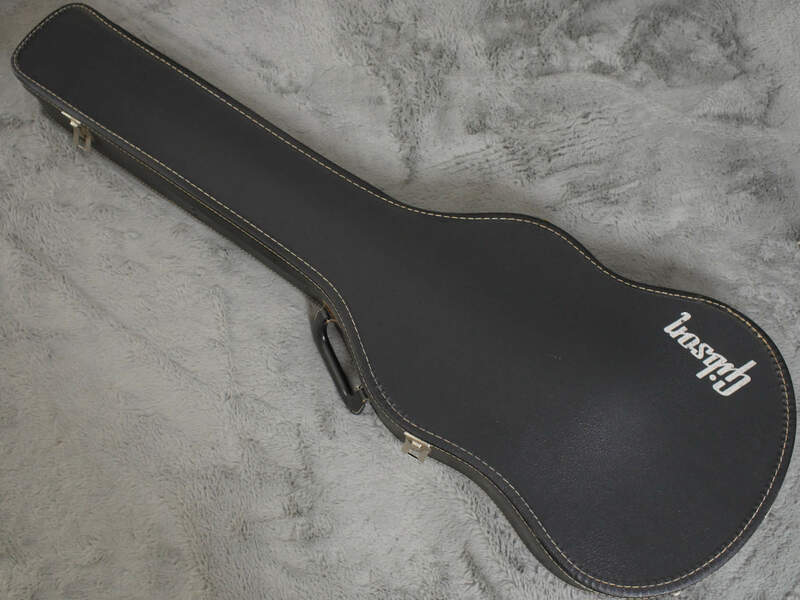 Correct soft shell case, like the rest of the guitar is in excellent condition and is very clean with the silver Gibson logo all intact on the outside.